With the state’s highest elevation less than 2,000 feet (609 meters), Wisconsin is certainly not known for its mountainous terrain. Still, with an average annual snowfall of 31.9 inches (81 cm) to 103.4 inches (262.6 cm) across the state, people have found ways to enjoy the winter weather. 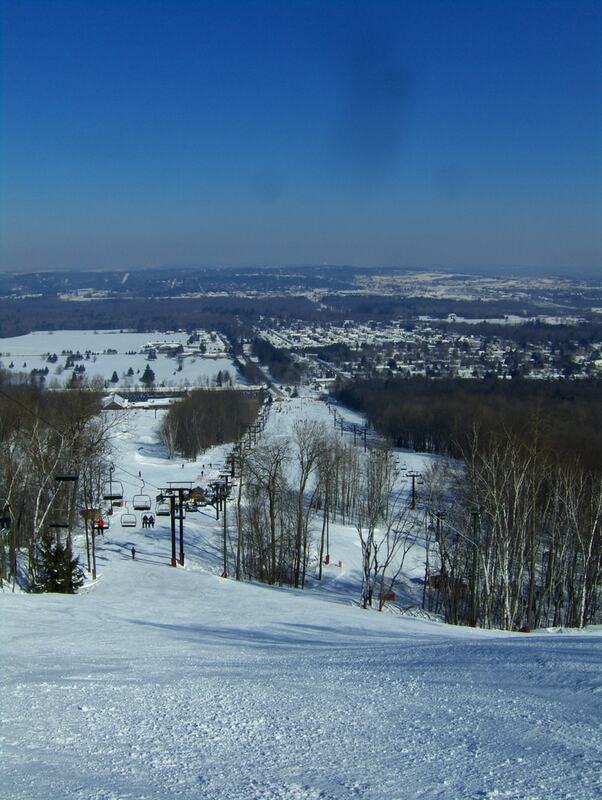 In that spirit, here are some of the top winter sports locations in Wisconsin. Wisconsin Dells may be best known as a water park, but it is open all year long with seasonal winter activities. Snowmobiling, sledding, skating, skiing, and snow tubing are all offered in the colder months. Devil’s Head and Cascade Mountain are nearby for downhill skiing, and the Poppy Waterman Ice Arena is available for hockey and skating. Some of the Dells’ well-known warm weather options are available, sometimes as a modified version, year-round. BigFoot Zipline, for example, continues through the winter. Vertical Illusions, which is known for its rock climbing tours, bundles up to take guests on frozen waterfall climbs. This traditional ski resort offers lift tickets for no more than $64. Lessons are available for kids and adults, including private lessons. There are 23 trails across the mountain’s 120 skiable acres and seven lifts to get skiers and snowboarders started. A tubing area is also available with 22 lanes, with prices beginning at $25. The 79-year-old ski resort has upgraded its snowmakers for expanded seasonal hours regardless of natural precipitation. 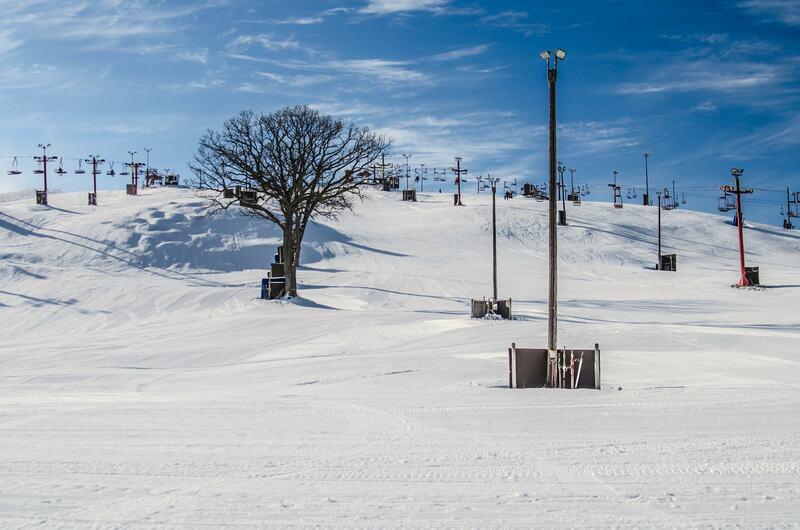 One of the top snow-tubing locations in Wisconsin, Badlands Sno-Park is a family-oriented location and alcohol-free zone. At no more than $17, tickets are good all day with no time limits other than hours of operation. The park offers six tubing slopes, all lighted for night tubing—the Bunny Hill, the Monkey Tail, the Big Hill, Tunnel Vision, the Camel Back, and Turbo-Tubing. Tow ropes are provided to limit guests’ time getting to the top and increase their time on the slopes themselves. 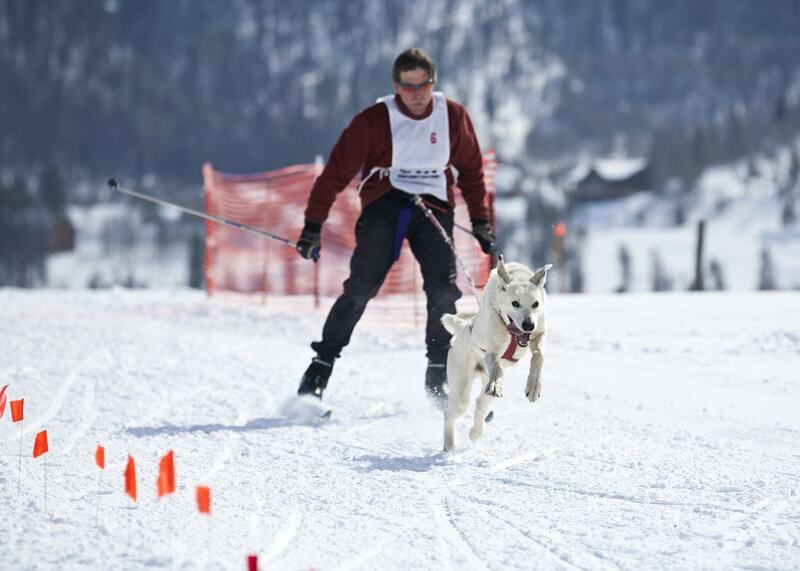 Lake Geneva has a range of winter sports from the traditional to the rare. Other than the ice skating rink and the sledding hill, there are trails for snowshoeing and cross-country skiing. The Mountain Top provides a quarter-mile run for skiing and snowboarding. Lessons are available for snowboarding, and more experienced snowboarders can enjoy the six-acre terrain park. The most unusual winter sport takes place on Geneva Lake: iceboating. Indeed, Williams Bay on Geneva Lake has been named the iceboating capital of North America. This trail system, put in place in 1985, is a flatter area where the largest elevation drop is used for snow tubing. Winter sports options still abound, though! Cross-country skiing, snowshoeing, fat tire biking, and dog skijoring are all available. The resort lodgers can access the trails for free, and other visitors only pay $5. For those who crave more elevation, Mount La Crosse is less than an hour-long drive west. The city of Wausau is a hot spot for winter sports. With tubing in Sylvan Hill Park (for just $9) and fat tire biking in Sunny Vale County Park, there is certainly a range of options. Then there’s Granite Peak atop Wisconsin’s highest mountain: Rib Mountain. The peak’s 700-foot (213-meter) vertical drop and 202 skiable acres provide runs, jumps, and jibs. The single-day tickets cost no more than $62. These, of course, are all in addition to cross-country skiing, curling, ice fishing, and other typical winter sports options. Rusk County has two great winter sports location options: Blue Hills and Christie Mountain. The Blue Hills Trail is the flatter of the two options, as the names suggest, offering sports such as cross-country skiing and snowshoeing. Christie Mountain has snow tubing for no more than $22 (for three hours) and downhill skiing for no more than $37. Skiing options are available for a variety of skill levels, including 11 easier trails and four terrain parks. The double black diamonds contain two cliff jumps, while Timber Pup and Timber Wolf trails add tree-dodging to the mix. Christie Mountain also offers lessons, both group and private.